Posted August 5th, 2014 by TheGolfersClub & filed under Blog, Competitions. Mar Hall is a luxury five-star golf & spa resort located 10 minutes from Glasgow International Airport. Set within a tranquil 240 acre woodland estate it is perfect a UK luxury hotel break. 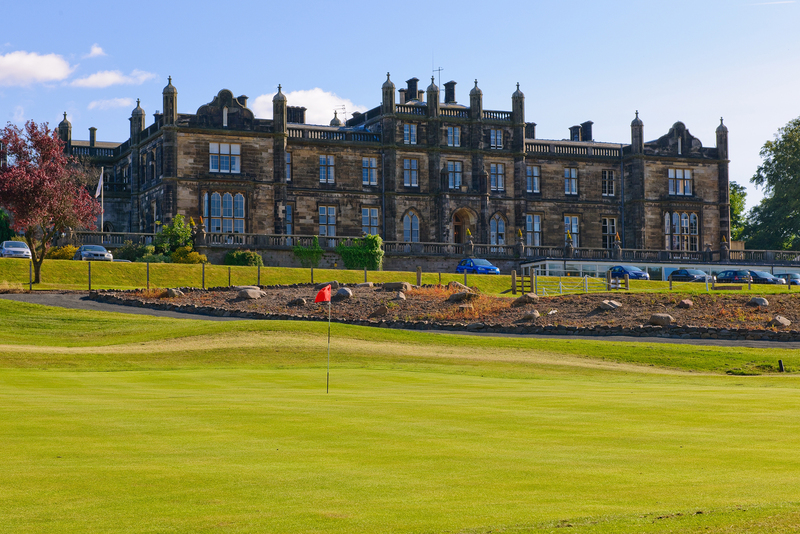 The Edwardian Scottish Mansion has 53 individually designed bedrooms, a championship golf course, Decleor Spa, swimming pool and offers both fine dining and casual dining options. They are famous as a luxury wedding venue and for exclusive Scottish conference and banqueting facilities. Golf Breaks at Mar Hall are something different. A wonderful 5* Hotel providing the accommodation, you can add as much or as little golf as you wish on the spectacular championship course. 1 Night Classic Twin or Double Room (Sunday Only), Two rounds of Golf per person, Full Scottish Breakfast. 2 Nights Accommodation in a Classic Twin or Double Room, 2 rounds of Golf per person on the Earl Of Mar Championship Course and, Full Scottish Breakfast. For one lucky member you have the opportunity to win a Sunday Driver Golf Break for two at Mar Hall Golf & Spa Resort by simply answering the following question. Who designed the course at Mar Hall? Email your answer to competitions@twww.golfcare.co.uk with your name, membership number and contact number and we will put you into the prize draw which will take place on the 1st September 2014.